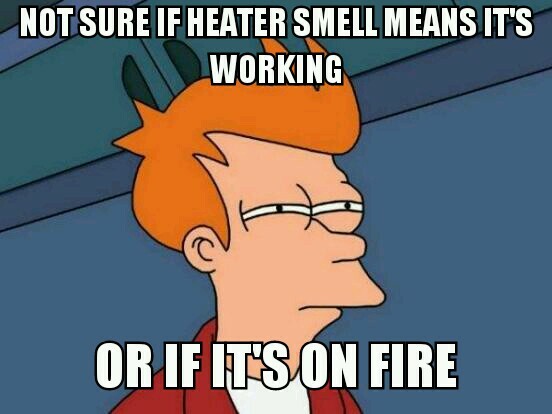 Why Does My Furnace Smell Like It Is Burning? The smell of something burning in your home can be very alarming and this is something that millions of Americans experience every winter when they’ve turned their heating systems on for the first time. If you have just turned your furnace on for the first time since the summer months and you smell something burning, chances are you have nothing to worry about. In most homes, the heating and AC systems are connected, so all the dust that accumulates in your system during the summer months while your air conditioner was running can burn off when you fire your furnace up for the first chilly night of fall. Within a day or two, the smell should be gone. If it persists, you may have a more serious problem requiring a checkup from a professional HVAC technician. These issues and more can be difficult or even dangerous to fix, so if you are noticing a burning smell coming from your heating ducts, turn your system off immediately and contact a heating repair company in your area. Simply ignoring the problem could lead to significant damage to your heating system or even a fire. If the furnace smells like it is burning and you are in the northeastern Pennsylvania area, contact T.E. Spall & Son for professional furnace repair in Scranton, PA. We will perform a thorough diagnostic check of your home’s gas furnace provide reliable furnace repair at a price you can afford.